If you love everything that Sugar Mountain has to offer, don’t just visit- live here! Everyday can be a vacation when you purchase a Sugar Mountain home through the expert real estate agents at Antler Realty. Our real estate professionals offer decades of knowledge of the area and the housing market trends. Our agents are personable, value communication, and are skilled in the art of negotiation, which is sure to help you get a great deal on a new house or condo in Sugar Mountain. Antler Realty is ready to show you some of the highest quality houses for sale Sugar Mountain NC has to offer. With the NC mountains featuring a variety of styles in homes, Antler Realty can help you find your next piece of paradise in the High Country. Cabins are a staple and classic part of mountain living. The Sugar Mountain real estate market is full of modern and elegant cabins that offer the most luxurious appliances and amenities. Our real estate professionals would love to show you some of the high-end cabins in Sugar Mountain today! Are cabins not your style? How about a small, but charming ski chalet? If you spend most of your time out on the trail, or hitting the slopes, a sleek and modern chalet may be just the right style for you! Several of our ski chalets are perfectly situated to enjoy breathtaking mountain views from a porch or deck. Let Antler Realty find the idyllic home for you that is as stunning as a scene from a post card. The agents at Antler Realty will work tirelessly to find you a home with the perfect view. Antler Realty also has several beautiful traditional houses on the market that are close to high quality schools, grocery stores and the city center. Mountain living is more than just skiing and hiking. Residents of Sugar Mountain have the opportunity to take advantage of Appalachia culture. Buy a home that is nearby the happenings of the city, and catch a bluegrass band or two! With a variety of styles in homes available, Antler Realty will not stop providing you excellent service until we find you your dream mountain home! 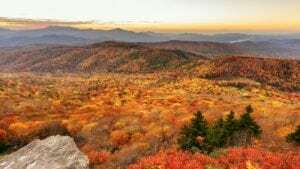 The houses for sale in Sugar Mountain NC offer excellent variety, and Antler Realty is interested in finding you a home that fits your exact style. Contact us today to see some of the prime real estate in Sugar Mountain or the surrounding area.